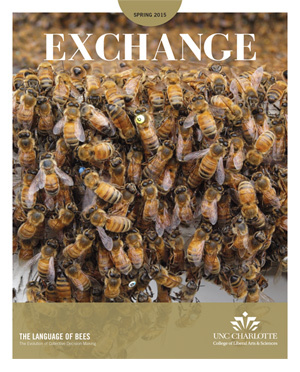 In this Spring 2015 issue of the College magazine Exchange, students and faculty are making an imaginative leap out of their own worlds. Their stories ground us in the vital concerns of our culture: social justice questions, particularly in the areas of race, disability, and disease; the cultural issue of body image as it affects health; the interplay of the natural world and human culture; and the disquieting practice of using law enforcement to commit suicide. These stories and more explore the research being done in the college, with implications for the world around us. The magazine can also be found on the College’s ISSUU.